Hello, everyone! I hope you are all having a delightful summer (or winter) break. My apologies for not updating my blog as much. Those of you who follow me on Instagram will know that I have been busy traveling– I promise I will try to blog more. My super dedicated fans on Snapchat (Vintagedolls) will have seen snippets of my visit to Renewme Skin Clinic! I am excited to write this post because I enjoy documenting any experiences that may be helpful for you guys. 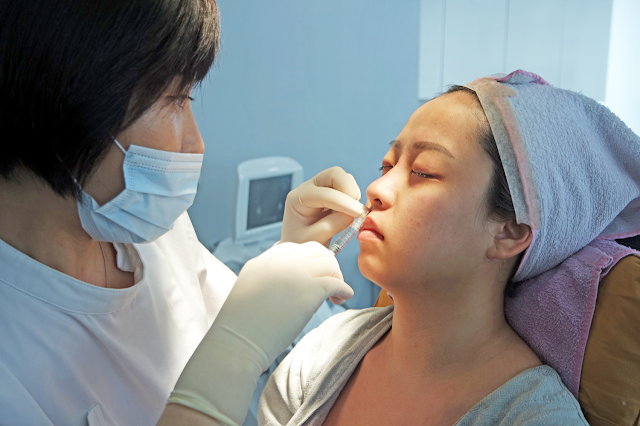 Korea is famous for its skincare and makeup products, and even plastic surgery. 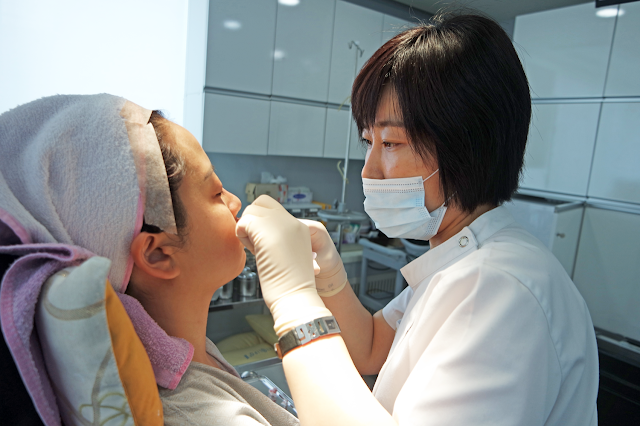 With so many clinics in Seoul, visitors may find it difficult to choose the right clinic. After my experience with Renewme Skin Clinic, I am certain that my decision was the best one. Upon my arrival at the clinic, I was immediately impressed by its interior design and aesthetic. 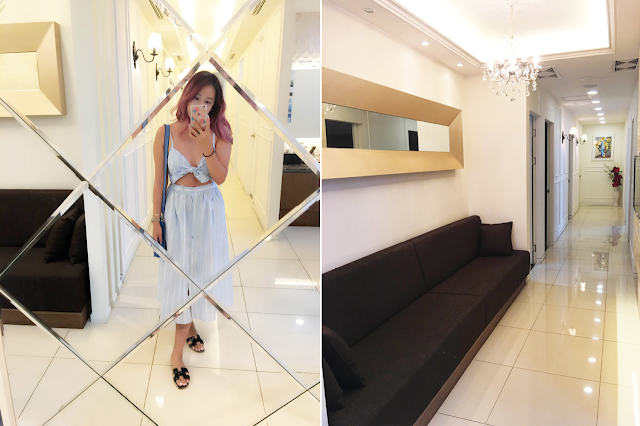 The glossy shine of the white tiles illuminated by mini chandeliers made me feel like I was in the home of those rich families you see in Korean dramas (LOL). The clinic is very spacious, and who can resist taking a selfie in front of the mirror? 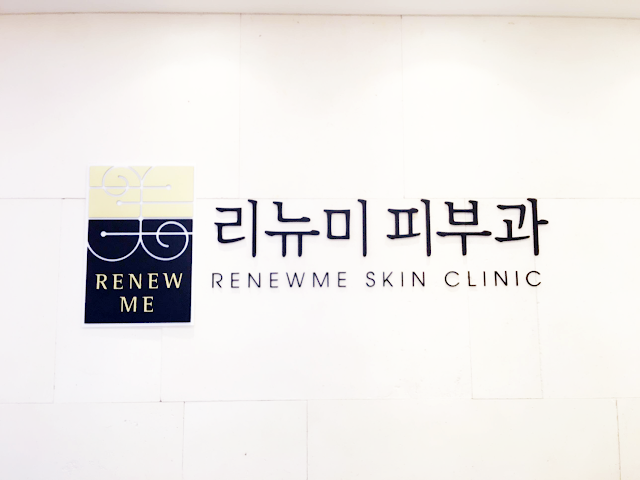 Renewme Skin Clinic has an array of treatments ranging from fixing acne scars to mini liposuction. With multiple options available, the clinic offers consultation to help you choose the best treatments for you! I sat in a private room (with another mini chandelier) while waiting. 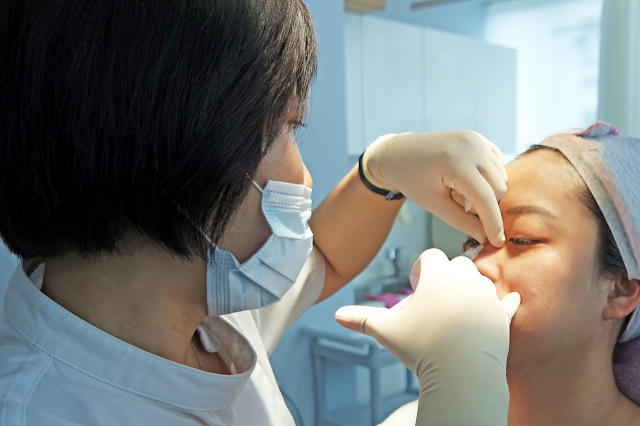 Language barrier can be problematic when doing treatments in a foreign country. Luckily, Renewme has translators fluent in both English and Chinese! 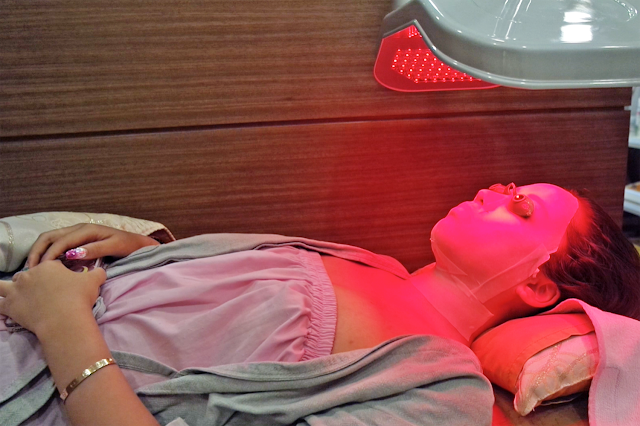 During my consultation with Dr. Ha Ji Hyun, I addressed my skin concerns as well as body image issues. I was able to relay my desired effect without any issue. Having a translator was one of my top priorities and a reason why Renewme Skin Cinic isamazing! The English consultant is named Saemmul and she is seriously the best. She is the liaison between yourself and the clinic. She is knowledgable about the procedures and answered all my questions quickly. 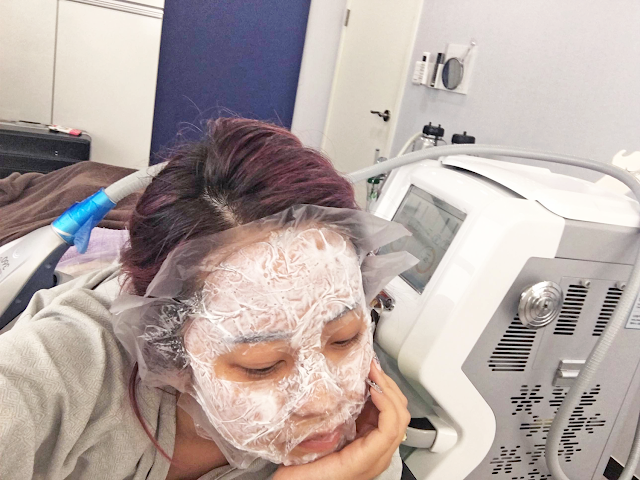 Dr. Ha decided on three treatments for me based on the concerns I had discussed with her two days prior: Cryolipolysis, Shurink, and Nose Fillers. I arrived bright and early because I had a flight to catch in the afternoon. Saemmul was very kind to be flexible with times to match my hectic schedule. Upon arrival, I changed into a clinic garment to prepare. Cryolipolysis (also known as CoolSculpting in USA) is a non-invasive procedure that is used to destroy fat cells through sub-zero freezing. The procedure is widely popular in the States and many celebrities opt for Cryolipolysis for body contouring. I would recommend Cryolipolysis for anyone who wants to target fat bulges. The treated area is marked for easy placement of the machine. I chose to treat my lower back/love handles; I feel like there was too much fat in this area that I have not been able to minimize through exercise. Pads covered in some gel-like substance are placed. Then, the machine is carefully adjusted onto the treated area. Cryolipolysis takes around 50 minutes. Here I am taking some selfies with my numbing cream during the treatment. PAIN FACTOR: I would rate the pain as a 0.5/10. It was uncomfortable, but it did not hurt. The machine feels like someone is tightly grabbing my fat bulges for almost as hour, similar to when I wear pants that are too tight (HAHA). Shurink (for short) is recommended for face lifting and tightening. 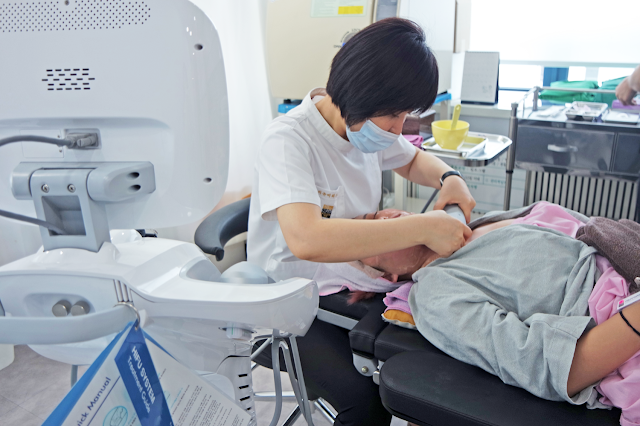 The procedure is the latest advancement in HIFU technology–High-Intensity Focused Ultra Sound–and is suitable for patients who desire non-surgical facelift. People often associate facelifting with old age and wrinkles, but this procedure can help achieve a more defined V-line. PAIN FACTOR: I would rate this treatment as a 2/10 for pain. The feeling is similar to tiny zaps of electricity, if at all. These “zaps” are much less painful than an actual shock when you rub your feet on the ground and then touch someone. I mostly felt an itch in my face, like the feeling you get when you’re about to sneeze. Saemmul offered me stress balls, but I did not end up using them at all. Nose Fillers are the most commonly-known amongst these three. Fillers can be utilized for both volumeand anti-aging. It is the best alternative to nose surgery because it is non-invasive and only semi-permanent. The results can last 6 to 9 months. If you are considering nose surgery, I highly recommendgetting fillers first to see if it is the shape you really want. I thought that dermal fillers were easy peasy lemon squeezy. After the procedure, Saemmul told me that nose fillers actually require a high-level of expertise. Your nose is surrounded my important blood vessels which can lead to blindness if impacted. I am so relieved that my procedures were done by Dr. Ha herself. Some clinics try to save money by hiring nurses to do this intricate job (a big no-no for me!). Having a doctor inject my fillers relieves my stress. 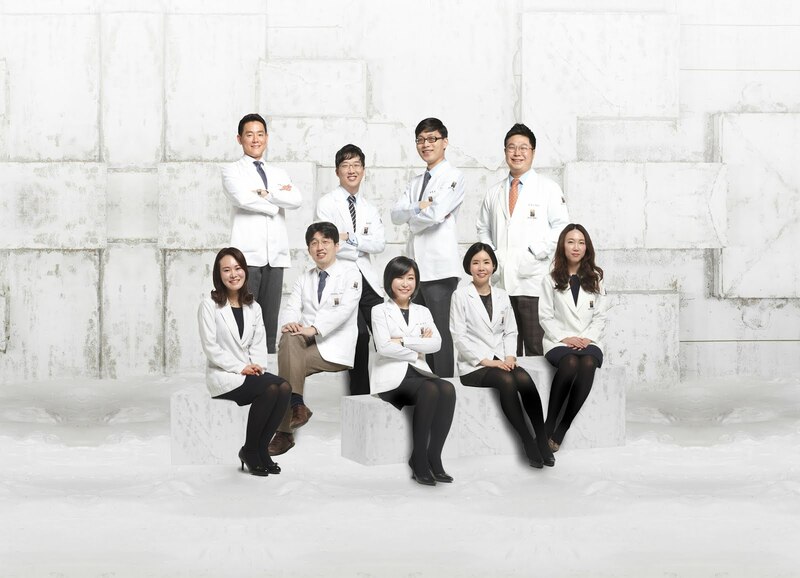 Also, look at Dr. Ha’s beautiful nose. SO perfect. I also thought that a nose filler would be done within a few minutes. I guess that only happens with a doctor who doesn’t really care about you. Dr. Ha spent almost 20 minutes injecting the filler little by little and molding it each step of the way. Small actions like this reflect Dr. Ha’s professionalism and hermeticulous nature. In addition, Dr. Ha was able to achieve my exact desired outcome! Pain factor: I would definitely rate the pain as 0/10. The numbing cream allowed me to feel no pain whatsoever. I was watching the needle being stuck into my nose and still did not feel anything. After everything was done, I received soothing treatments consisting of: soothing mask, light therapy, and cryocell treatment. The soothing care is extra relaxing after the shurink. The Velvet Mask is a 100% collagen mask that infuses moisture into your skin. The mask is excellent for hydration, skin rejuvenation, and whitening! 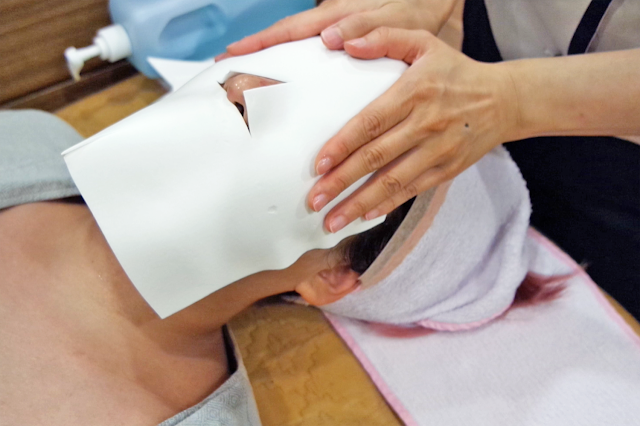 This facial is one of the most unusual I have experienced, but my skin felt so refreshed afterwards. Adry sheet is applied, delicately wet with a sponge, and then basked under a warm light for full effects. The results of each treatment are dependent on time: Cryolipolysis (3 months), Shurink (1 month), Nose Fillers (instant). However, I did begin seeing results within the first hour. I will be documenting the full results in a separate post, so stay tuned! Visit Rachel's original blog post by clicking here.